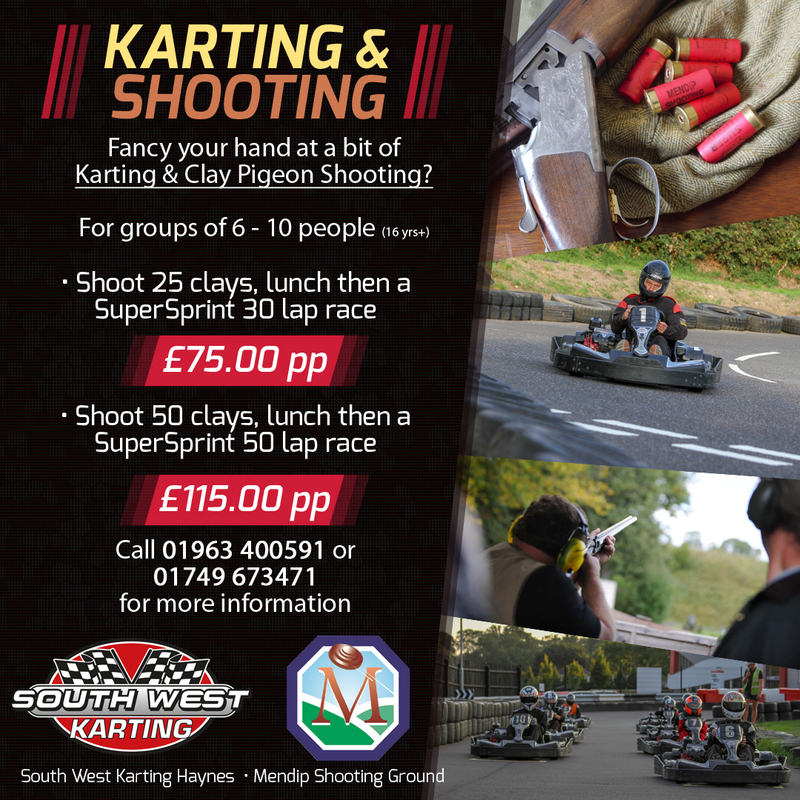 Why not book a package, which includes Clay Shooting, Karting and some lunch. For groups of 6 -10 drivers, at least 16 years of age. Deposit required: £10 per person, which will be deducted from the full amount, payable at time of booking. Full payment then required before any activity starts, please see detailed terms & conditions. Please read the Terms and Conditions before booking.